Mr Lockout Towing & Locksmith services in Fort Lauderdale is the most reputable locksmith in the area. With multiple mobile locksmith vehicles we are the best locksmith Fort Lauderdale. Mr Lockout boast the best reputation of any towing company Fort Lauderdale as well. We have a fleet of tow trucks and experienced drivers all over Broward and the Fort Lauderdale area. We have the most Google Reviews and the best over all rating. Our certified Locksmiths in Fort Lauderdale, and tow truck drives are here to proudly serve you. When you need affordable locksmith or towing service Mr Lockout is who you should call! Mr Lockout has been the premier locksmith Fort Lauderdale for close to a decade. We have been providing auto locksmith service, commercial locksmith service, and residential locksmith service to many satisfied customers over the years. Our towing services Fort Lauderdale are second to none. 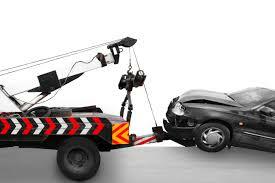 We have the best drivers and equipment of any towing company in the area. Many people trust us with their towing and locksmith needs. Just check our Google Reviews! We are affordalble, dependable, and fast! Just what you need when you need a locksmith or towing company! Never worry about waiting around for hours for us to show up, or paying a fortune to get your problem resolved. Mr Lockout Towing Fort Lauderdale and Locksmith Fort Lauderdale will get their fast and give you a fair affordable price! Call our dispatch center and one of our tow truck drivers, or certified locksmiths will be there quickly to resolve your problem! You can always depend on us! When you need help you need it fast, and without a lot of grief. Get it right the first time with Mr Lockout Towing and Locksmith Fort Lauderdale. Don’t get ripped off or wait around all day for some other company to help you. We have the best towing Fort Lauderdale, and locksmith Fort Lauderdale out there. Get the help you need now! Call Mr Lockout for your towing and locksmith needs!